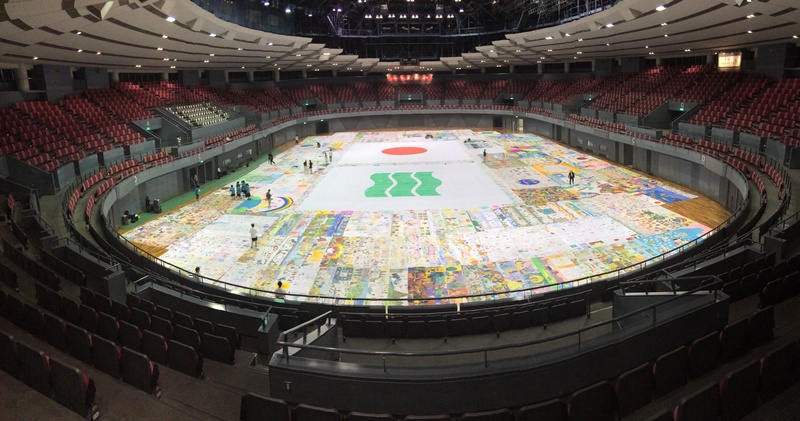 The Biggest Painting in the World 2020 in Muroran City was completed at Mizumoto Primary School in Muroran City. We heard that the number of the kindergarten children and the local people who participated in the project is more than 600. 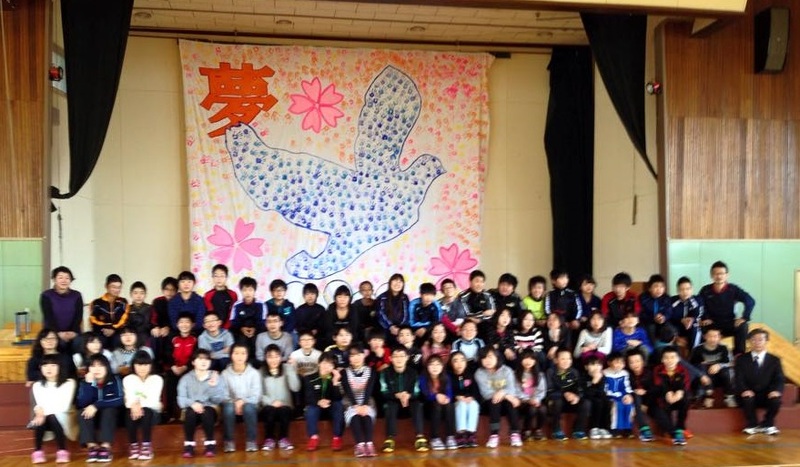 Children’s circles played a central role to paint the pictures with the themes of peace, dream, bluebirds flying toward Olympic Games and cherry blossoms, the representative flower of Japan. 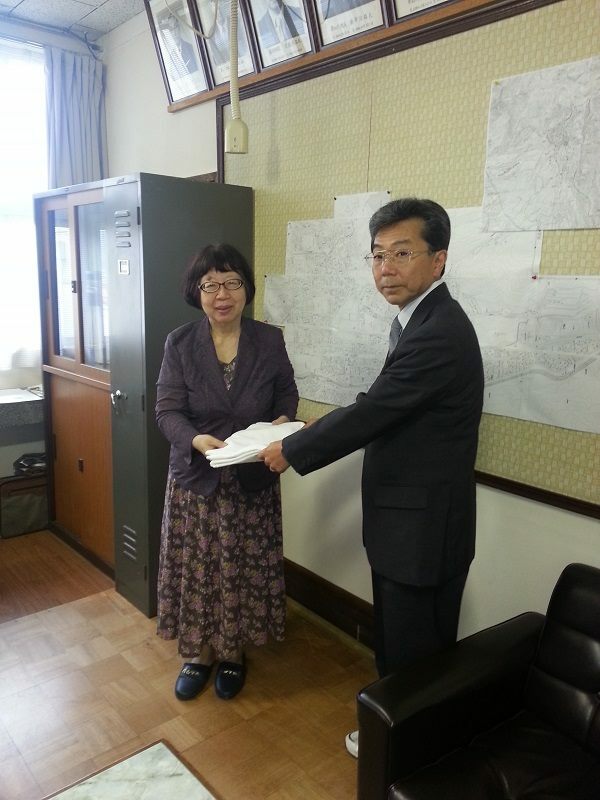 Visited Muroran City Mizumoto Elementary School, Hokkaido with one of the representatives of Hokkaido, Ms. Shirata and handed the cloth of the Biggest Painting in the World to the principal.